When I used to work on corrections issues, I would take our summer law clerks to visit Central Prison in Raleigh. Each person came away with a range of impressions and lots of questions, especially if it was their first exposure to a prison. In my experience everyone left with at least one common question—How can it be that so many black men are locked up? It is striking and disturbing, and it is difficult to avoid feeling intuitively that something is badly wrong with a system that produces such a result. I was reminded of that feeling when I read an article called “Can Our Shameful Prisons Be Reformed” in the most recent issue of The New York Review of Books. This was not always the case. Cole says that African-Americans comprised 30% of the prison population in the 1950s. 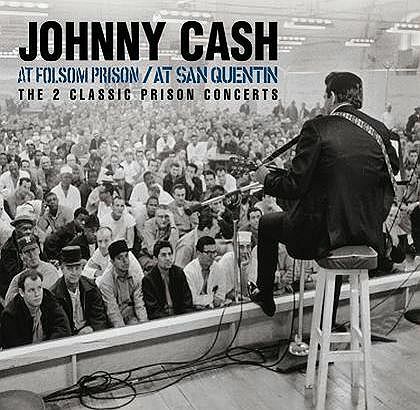 I remember thinking that something had changed when I looked at photographs of Johnny Cash’s famous concert at Folsom Prison in January 1968 (one of my favorite records—the duet with June Carter on “Jackson” is a classic). The inmates were overwhelmingly white, which was jarring when compared with my experience in visiting North Carolina prisons. There is no easy answer to the problem of crime and incarceration, which is inextricably bound up in questions of poverty and race. I recommend this article as an introduction to an important issue that does not get nearly enough attention. If we do not take on the challenge of our growing and expensive prisons in these tough economic times, it is hard to imagine when it will happen. I have long believed that the education of every citizen should include a visit to a maximum-security prison—it is far too easy to ignore the many different costs of imprisonment if you never see the consequences of our criminal justice policy choices. I agree with you, Mike, that every citizen’s education should include a visit to a prison. I took a Sociology course at UNC when I was an undergrad that included a visit to the NC Women’s Prison (Central Prison was undergoing renovations at the time.) I echo Norma’s reaction of having a very sobering experience that made me view my life from a completely different perspective. One of my classmates had to be removed from the group and wait in the warden’s office because she could not withstand the feeling of confinement, even when we were just walking around the grounds. Some heavy reading for a Monday morning—that touched on a number of recent experiences for me. A year ago I was invited (roped in) by friends at church to help with a prison ministry at the Butner federal correctional facility. It was/is always a bit intimidating, but has become a very rewarding experience for me. In recent training, I felt myself needing to look past the discussion on what caché individual inmates get when they have visitors from the outside. They can do what they will with my visit, I just hope and sense that my listening and talking makes some difference. Since I started my Butner visits, I’ve been struck by two things 1) what lasting impact poor decisions can have, and 2) the challenges of making good decisions in a prison environment—even if you have decided to clean up your act. The Butner complex has 4 facilities and a hospital ward, and people with very different criminal backgrounds are placed together in facilities that are full beyond capacity. Those I interact with are trying to stay close to their faith and stay sane while they do their time. In volunteer training this month, prison officials acknowledged that rehabilitation or “reentry” programs are sorely underfunded and ineffective, but are encouraged by progress seen in those inmates who regularly attend religious meetings–regardless of denomination. This summer I read my Dutch “Opa’s” (grandfather’s) journals translated by my mother. He described his horrible months in prisoner of war camps awaiting a hearing in the Netherlands and Germany following the war. As an educated linguist he worked as a translator for the Germans rather than be sent to work camps. When the French allies came through, he was identified as a collaborator and was sent to a prison camp. He describes some pretty horrific experiences being thrown in and amongst “murderers and criminals”. It was not until the Canadians took over the prison camp many months later that non-combatant civilian government workers were separated from the convicted criminals. The prison environment itself turned many good people bad. As the NYT article Mike cites states, “for young black men in America’s inner cities, incarceration has become the more-likely-than-not norm, not the unthinkable exception” People on my bus talk casually about this reality. This family, and other families of all races live with this reality, whereas my kids probably don’t even know what a parole officer or case worker is, or know anyone that has ever gone to prison. I am on the same bus as the folks, my kids are in the same town, same street (separated by 4 miles), same school and class as this family, but we are dealing with such different norms…my oldest is a senior working hard sending in college applications with nothing (but finances) thwarting her from applying to the best schools in the country…that seems so far removed from where this family is that I met this week. Call me naïve, welcome me to the South, but this is all fairly new to me, and I’m not seeing clearly what local governments, or the judicial system can do to address our growing incarcerated population. At some level it bothers me that Guilford county is so excited about the economic benefits it will realize with its newly-approved jail. 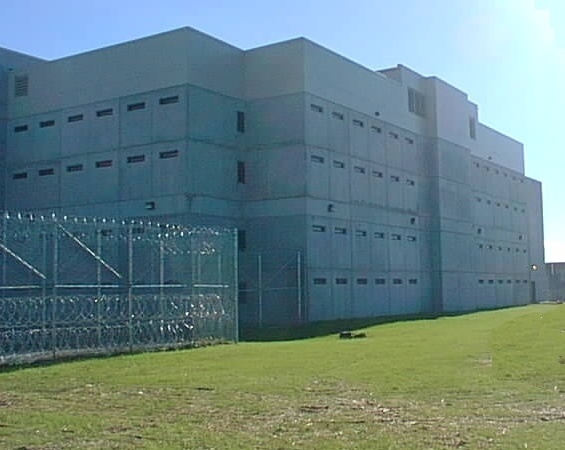 It’ll provide 2000 new jobs and hold over 1000 new inmates…but it too will soon be beyond capacity. There’s got to be better solution. Some interesting ideas were forwarded in the article from decriminalization of more behaviors, more racially consistent sentencing, better reentry programs etc, but that seems to be working only one side of the fence (punishment). I’m inclined to think that religious institutions are better suited than governments to working the other side of the fence (prevention). Either way, both sides of the fence need to be worked and be given more attention. Our prisons are such terrible concepts and places, where very few should ever live or die. I was searching for Blogs about The Challenge of Prisons « Mike’s Blog and found this site. I am interested in your content and I appreciate sites like this. The first question that occurs to me is whether or not the incarceration rates in various states is dependent on the racial make up of that state. That is, does it appear, at least under a cursory examination, that black and latino prisoners are substituting for white prisoners or are they added on top. This might have some interesting implications. Indeed, perhaps this would make an interesting Bulletin. My Friend Asked me to Read your Post The Challenge of Prisons « Mike’s Blog on Thursday.Your post was Well written.Please Keep it up .I Like reading on law books.